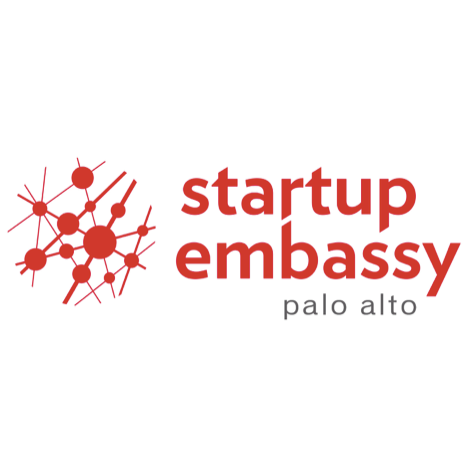 Get resources, partnerships, and investment from Silicon Valley. Discover free ways to get customers before launching your startup. Become an efficient problem solver (non-computer hacker). Get things done faster and save months worth of expenses. Choose to make a difference. Click here to know if this book is for you. Get the first chapters if you pre-order it now! Pre-ordering it can also get your name and company logo added to this website (or the book) and you'll be part of a FB private group to help each other out with our startup challenges. Click here to go straight to the book intro. Book shipping only for supporters starts early 2018. Limited edition of the e-book only for crowdfunding supporters. This version will be continuously updated with the newest resources coming up. Your name + any link you want all our network and viewers to see will be added in our "Change Makers" section. Includes the limited edition e-book version. Signed hardcover version of the book. Includes shipping fees and Official Supporter benefits. A link to your company, your logo, and your name will be added in "Our Catalysts" section for everyone to know you. Includes Signed Hardcover benefits. Your name and name of your company will be printed in the hardcover's page named “Catalysts”. Three signed hardcovers. Includes Catalysts benefits. Private chat with author to help you with your startup goals and challenges. Includes Printed Catalyst benefits. For bulk hardcover orders, click here. All updates are posted in our Facebook page. "My dream is to become a chef, but I don't see that happening because I still have many debts and I couldn’t commit to a fixed schedule since my work at Starbucks is very dynamic. I can probably do it in 5 years from now if things get more stable, although I'm afraid I could have a family by that time and that'd complicate things"
That has been one of the best feelings I have ever experienced in my life. That’s when I discovered my purpose: helping people get what they need in order to achieve their goals through technology. I knew the best place to make something highly impactful in tech was Silicon Valley, so I took a plane to San Francisco next week without even knowing where I was going to stay or how I was going to make my idea happen. After I landed in San Francisco, many unbelievable things happened and you’ll know about it throughout the book. I met a group of entrepreneurs from different countries that like me came here with just an idea and small savings. Since then, we have lived together and now some in this group have created multimillion dollar companies. By that time I was very naive though, so coming this way could also make you spend all your savings and lots of time just learning or trying to figure stuff out. Saving this time and money can be crucial for the success of your startup or idea, especially at a place like here where the average you pay to rent a room for yourself starts from $1500/month. Years later, I even found ways to live here rent, transportation, and food included for less than $1000/month. To give you some examples of the hacks we found here that you’ll see in the book, I tell you how to solve your visa status, launch your startup no matter your budget, easy ways to incorporate your business here, and ways to reach out to anyone you can think of either for a partnership, as a customer, or just to get some expert information. We had to develop a hacker mentality in order to move forward, so you’ll learn how you can also develop it and each section is made for you to immediately start applying this knowledge. One example about reaching out to anyone is the private dinner I had with the co-founder of Apple, Wozniak, so I talk about how I got that dinner and what happened there. I’ll finish by telling you briefly WHY I actually started writing Hacking Silicon Valley on a Budget. It was thanks to my trip to Europe this year that made it more clear to me how there are so many people outside our Silicon Valley bubble already working on great ideas that could become the next life-changing service we use daily, but they are even less likely to succeed because of 2 things that are not as common and easy to get as it is here: developing a hacker mindset and having access to the most powerful actionable information. If you are here, it's easier because almost everyone, including billionaire founders, are willing to help you and share their lessons with you no matter who you are. It’s also very easy to get to them, you will see how throughout the book. I’m adding a third threat that is not as public as it should be: mental health issues. I haven’t seen many mediums or people talking about it publicly and it’s one of the main issues we all go through, especially when you start a path where at the beginning you may be the only one who believe in your idea, some times not even your family, so I'll tell you how you could also handle it. Well, this is exactly why I decided to write Hacking Silicon Valley on a Budget. I want to help all these new entrepreneurs to not let those 3 reasons stop them from changing our lives with their ideas. I hope you join me and become part of the book by supporting the crowdfunding campaign, you’ll see some interesting perks! Thank you for reading. The amazing founders and impactful companies who have supported our crowdfunding in multiple ways. Those doing all they can to help entrepreneurs succeed.